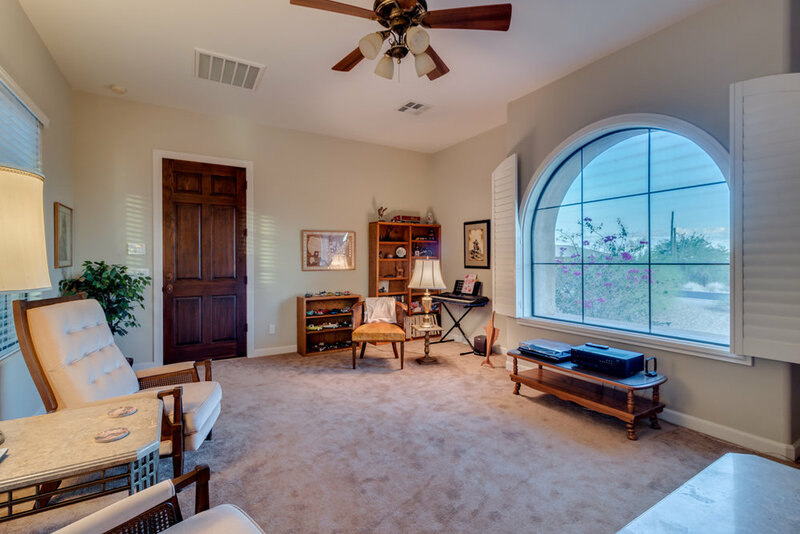 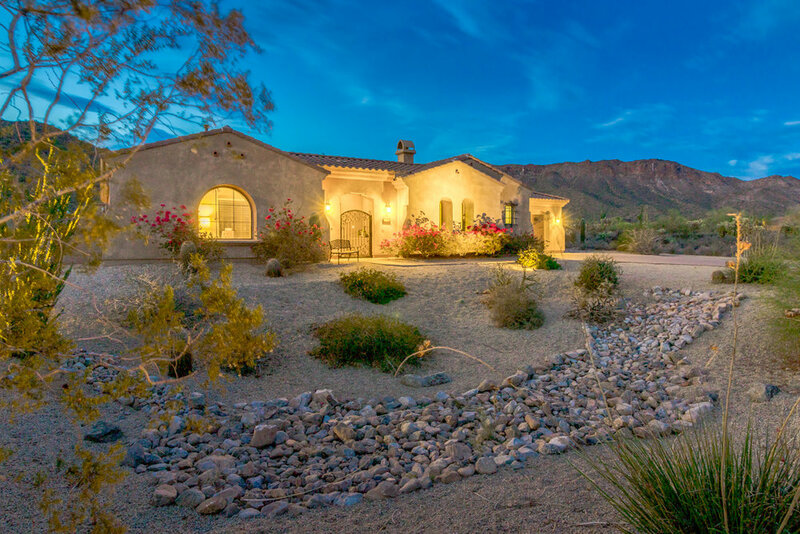 This luxurious Elite Communities Signature Collection home is ideally situated in the gated community of Tonto Forest Estates, surrounded by the protected Tonto National Forest in Mesa. 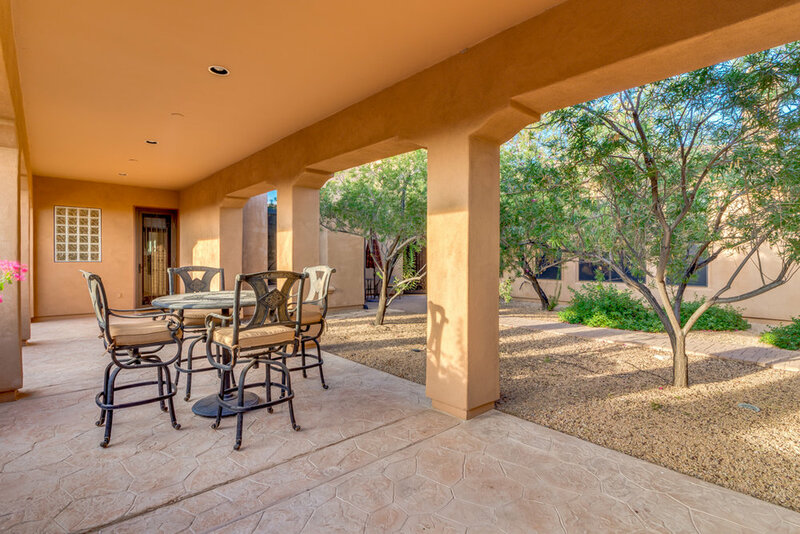 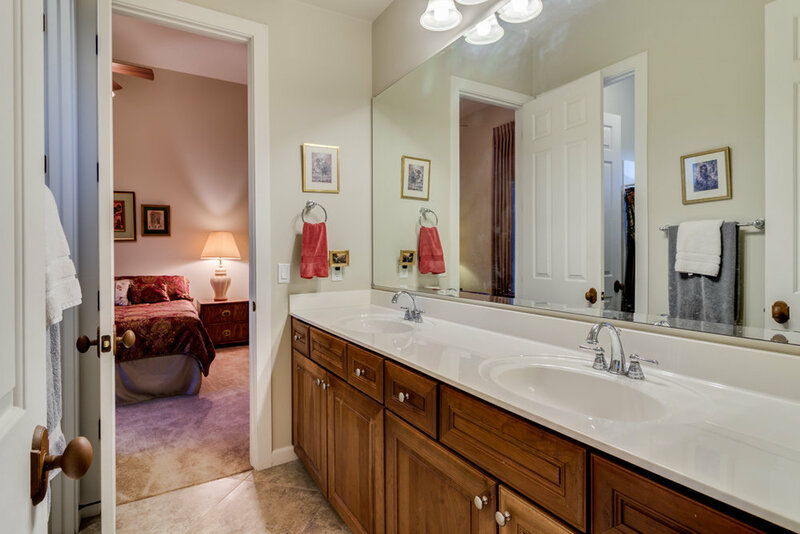 This gorgeous 3 bed/2.5 bath boasts a teen room, den, office, formal living and dining room, as well as a separate 300+ foot guest casita in a private courtyard! 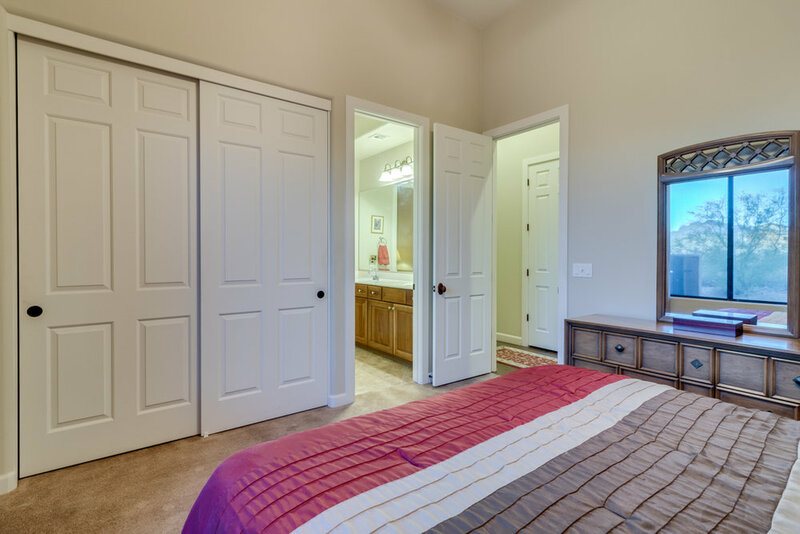 The open master suite is also accompanied by its own sitting room, which looks out to the pristine backyard, giving you plenty of natural light. 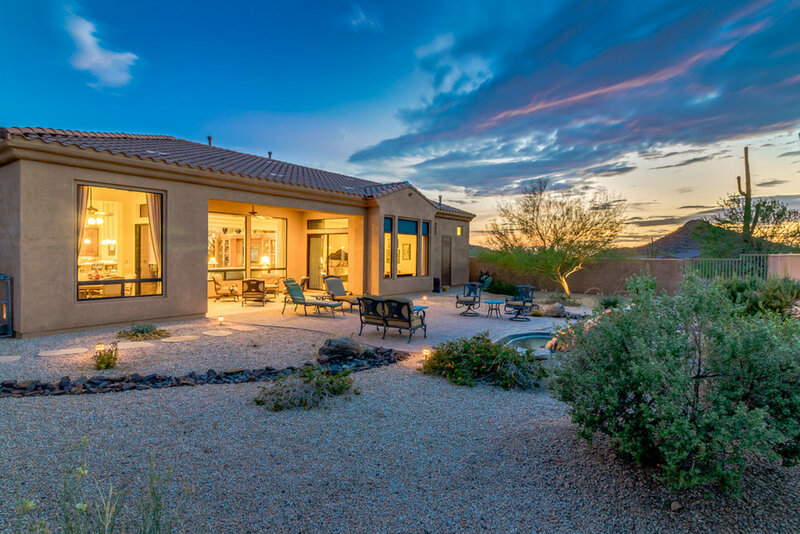 This home is meticulously crafted with solid 2x6 framing, BIB insulation, post-tension slabs and multi-paned windows. 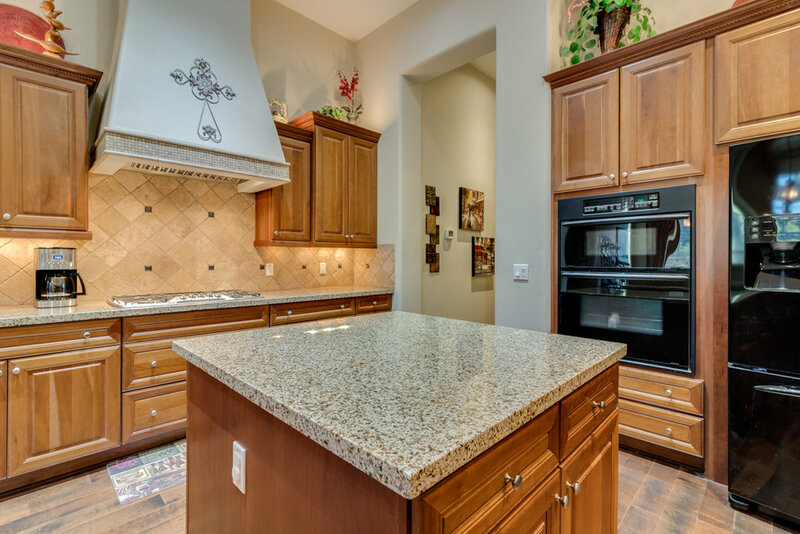 Additional features include a loggia, fireplace, elegant wood flooring, cherry cabinetry, granite countertops, Kitchen Aid appliances, 12-ft coffered ceilings and much more.